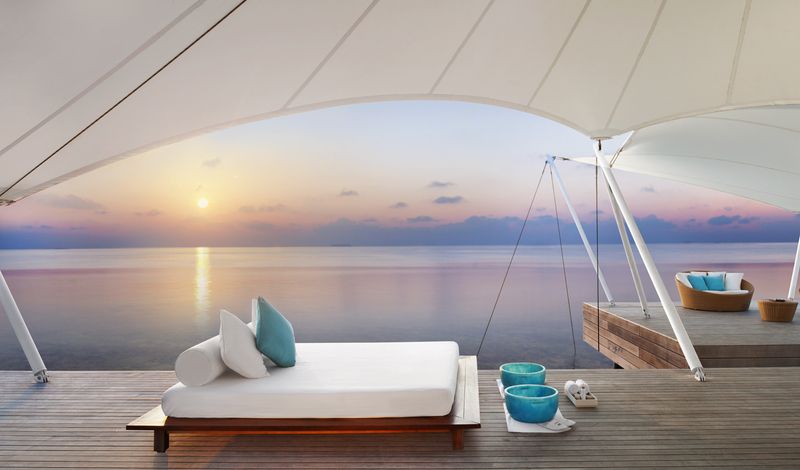 The definition of contemporary luxury, W Maldives encompasses sophisticated modern design inspired by the stunning surrounding Indian Ocean, pure white sands and luscious green flora. Making itself at home of Fesdu Island, relax and kickback with an indulgent selection of chilled, modern bars and eateries serving delicious cocktails with a fresh island twist, along with the finest soul-satisfying food, straight from the Indian Ocean. 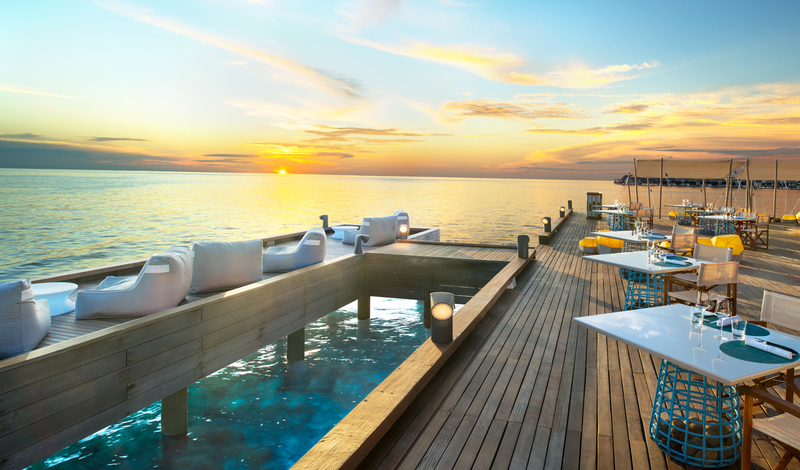 Situated on the pristine Fesdu island in the middle of the North Ari Atoll, to the west of the Maldivian capital Malé, the resort is located in the middle of the seemingly endless Indian Ocean, just a 25-minute sea plane trip from Malé airport. Once you’ve arrived, kick off your shoes and feel the sand between your toes and you spend days basking in the sun and diving down to discover bright corals and schools of tropical fish. Each of the 78 luxurious guestrooms at W Maldives boasts direct beach or lagoon access, a private plunge pool, outdoor rainforest shower and a wine fridge. Choose from the two storey beachfront ‘beach oasis’ villas, complete with second floor open air decks, ‘ocean oasis’ villas built on stilts standing over the turquoise water each with a private ocean front terrace and infinity pool, or our favorite, the stunning ocean haven villas which even have glass floors looking down into the sea below. Just a short distance away from Fesdu is Gaathafushi, the retreat’s own private secluded island. We love the overnight ‘Robin Crusoe’ experience – dropped off on the island you’re left with a phone and then deserted in what is truly a slice of paradise, where a bed nestled under a thatched roof and a delicious candlelit dinner for two (or more) awaits. And that’s if you’re not making cocktails with your own shaker set back in your beautiful room.